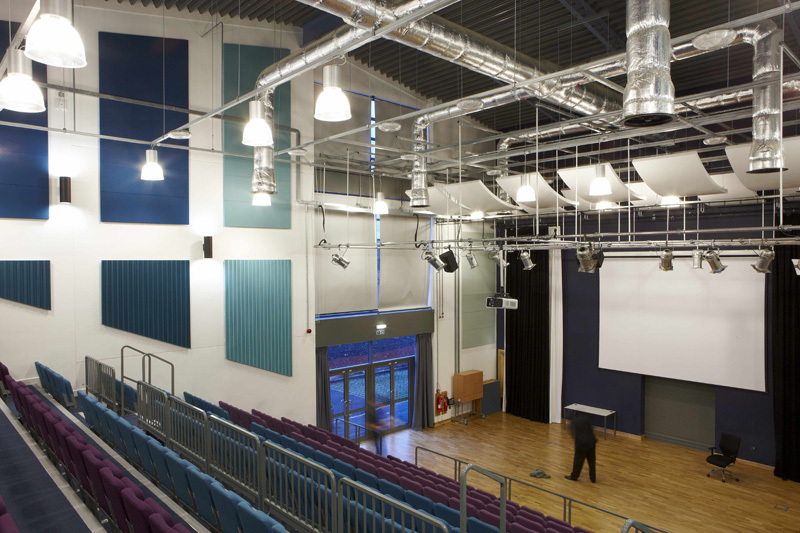 RPG Europe recently completed the Burlington Danes Academy, designed by BH&M Architects, this is the Performing Arts Center for the school. Architect Matt Weyham specified RPG Flutterfree, RPG Absorbor and RPG Monoradial for the main hall, with RPG Flutterfree and Absorbor for the smaller practice rooms, classroom and social areas. 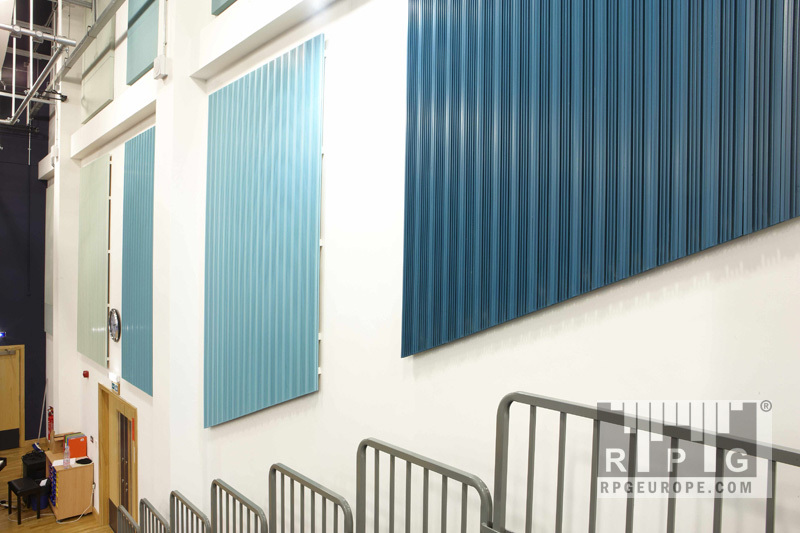 RPG Europe worked with BH&M and Main Contractor Durtnell to supply and install the products in the colours and sizes specified. For more images, please see Special Projects Gallery.